Our office hours are 9:00am to 5:00pm Monday thru Friday with additional hours by appointment. BSNW is located on 6th Street between Front and Grover in downtown Lynden, right behind the Lynden Post Office and in the same building as the Lynden Tribune. BSNW is owned and operated by Bill Pate. Together with his team of qualified bookkeeping and tax professionals, they have been serving individuals and small business owners since 2005. 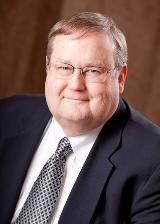 Bill received his Bachelors Degree in Business Administration/Accounting from California State University and his Juris Doctor from Western State University College of Law. He is a Director and Past President of the Washington Chapter of the National Association of Tax Professionals, and is frequently a speaker on national tax topics. He is also the author of a variety of articles on small business, tax and legal subjects. Bill is a QuickBooks ProAdvisor, a member of the National Association of Tax Professionals, and a Member/Director of the Lynden Chamber of Commerce.